Interested in Charis Bible College Toronto? Join us at our Toronto Campus for Campus Days 2017, and experience Charis for yourself. Tour our facility. Meet with current students. Experience anointed worship and teaching. Ask questions. Get answers. Make connections. Take the next step and discover what life could look like when you experience revelation...experience hope...experience community...experience miracles...experience Charis. 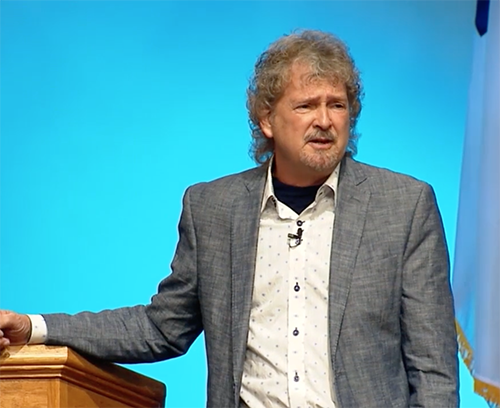 Duane Sheriff is the senior pastor of Victory Life Church in Durant, Oklahoma. He is gifted with an anointing and ability to communicate the simplicity of the Gospel. He believes a personal and intimate relationship with the Lord is essential for every believer. His desire is to see the body of Christ walk together in unity. It becomes evident as Pastor Duane opens his heart that God has bes­towed on him an abundance of divine revelation which pours forth as he shares and ministers the Word. His personal presenta­tion of the Gospel resurrects hope and ignites faith in the hearts of God's people. John and Abi Elshaw are from the UK. They have been married since 1995. Having felt called to Canada more than 10 years ago, it was unclear how their vision would become a reality. In 2004, they made the decision to attend Charis Bible College in Colorado Springs. They completed their first and second years in Colorado and then returned to the UK for their third-year internship. After completing the Third-Year Program, they were ordained through Andrew Wommack Ministries, Inc. It was at their ordination that the idea of serving AWM/Charis in Canada was first communicated to them and this once again excited their hearts with the calling God had given them. 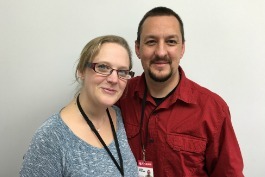 John and Abi moved to Ontario, Canada in 2013 and have been serving the Body of Christ through Charis Bible College Toronto in order to fulfill the mission and vision of AWM/Charis Canada. Children are welcome, but childcare is not provided. * Lunch is available for $5 (payable on the day), please indicate when you register. ** Schedule may be subject to change.